Masonic Temple carpets should never be cleaned by water squirt and suction method. The prospect of this expensive and dense wool carpet shrinking or the dye bleeding out of the black and into the white sections from harsh detergents used should be avoided at all costs. Is a gentle detergent that uses a chemical reaction and a ‘dry-cleaning’ process to raise the particles of dirt to the top of each fibre, which is then captured by special beaters in our machine and removed. The Texatherm system also removes antigens and bacteria – including the fearsome MRSA and if you have elderly, frail and vulnerable members, or members going through Chemotherapy, it’s a good way to keep them safe from winter infections. The Texatherm Cleaning System is a patented process combining a unique chemical technology with heat, agitation and reaction between two solutions. The process produces a capillary action which safely deep wet cleans carpets but also delivers all the benefits normally only associated with dry cleaning systems. Ask your Secretary to call us for a free visit, test area and no obligation quotation for a specialist Masonic Lodge carpet clean. 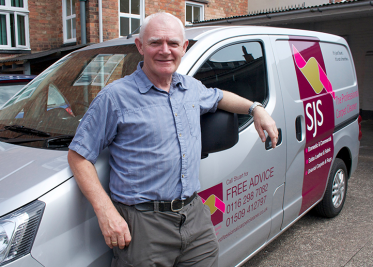 SJS is a Senior Member of the National Carpet Cleaners Association, so we are FULLY INSURED and accredited.